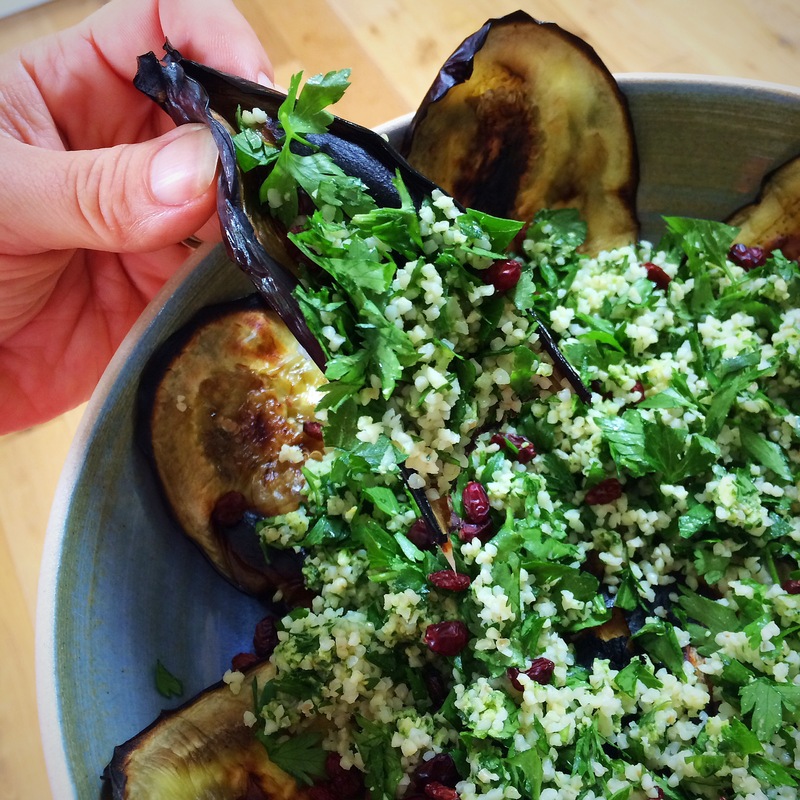 As I mentioned in my previous post, I love aubergines cooked whole, whether over fire on a barbecue, under a grill, in an oven or over a gas burner. The flesh becomes meltingly soft, it is truly the best way to cook aubergines. Sometimes I remove the skin to use the flesh in a salad or dip, but I don’t like the waste, so I usually eat the whole thing. However you choose to cook your aubergines whole, do remember to prick the skin otherwise they will explode! If I don’t chop the aubergines up for various uses, I like to use them whole and fill them with whatever I have to hand.. 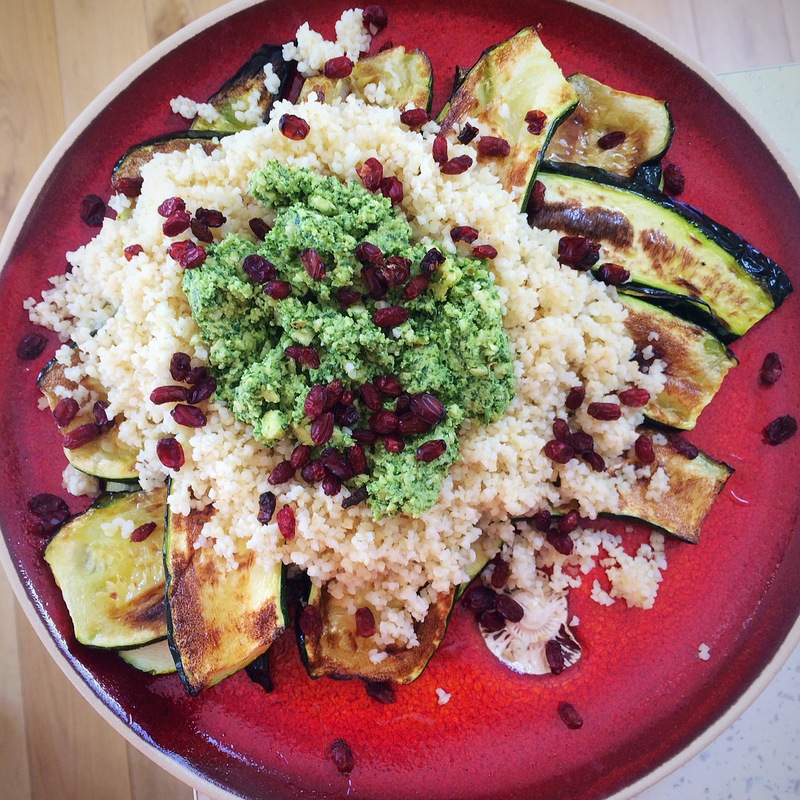 This one was filled with quinoa and a sauce made of fresh spinach, garlic, almond butter, buttermilk, lemon juice and courgette, and topped with cumin seeds, Aleppo chilli flakes and sesame seeds. On the side is a grilled red pepper dip. This one is filled with more quinoa mixed with chopped herbs, garlic, spring onions, spices, olive oil, lemon juice, and drizzled with tahini. This entry was posted in Aubergine, Dips, Mezze, Middle Eastern, Roasted Vegetables, Salad, Tahini, Vegan, Vegetarian and tagged cooking, recipes, spicekitchenuk on July 6, 2018 by Elaine @ foodbod. These are what Petra sent me to try…lucky me! The two bottles that you can’t see the labels on are a ‘very hot hot sauce’ and a sweet chilli ginger sauce. I’m afraid the dry tomato and coconut chutney was devoured first a little while ago, it was so good I literally ate in from the jar in two sittings..
Leftover broccoli & cauliflower, blended with yoghurt, crunchy hazelnut butter & Petra’s sweet chilli ginger sauce which added great flavour to the vegetables. My homemade garlic mayonnaise pimped with Petra’s very hot hot sauce – perfect pimping. Leftover roasted carrots & red onions blended with tahini, yoghurt & lemon juice…so good, the lemon juice and roasted carrots always works well together. Fresh flat leaf parsley & coriander chopped up with my pickled garlic, spring onions, ground cumin, Aleppo chilli flakes, salt, olive oil, my homemade apple cider vinegar & Petra’s caramelised Seville orange & chilli treacle – I often add pomegranate molasses to my salsa verde concoctions and this was a great alternative. 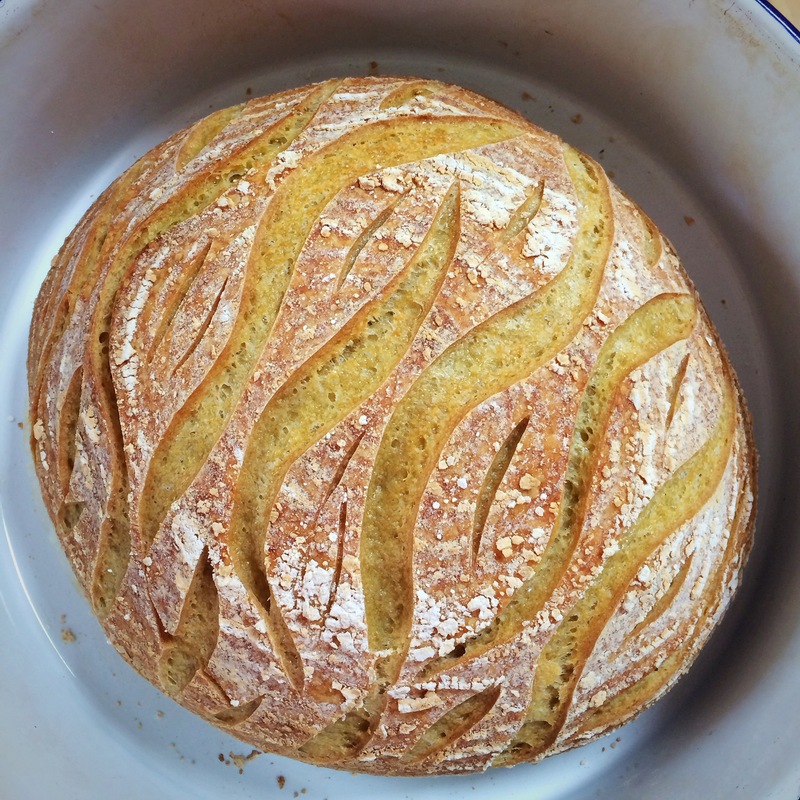 All eaten with Petra’s Carta Di Musica flatbreads which are wonderfully thin and crunchy. So a big thank you to Petra for letting me try some of her great products. I shall be sharing my concoctions with everyone at this week’s Fiesta Friday, which is after all, where Petra and I ‘met’. In the meantime, do check out Petra’s Instagram page if you’re an instagram user and enjoy her beautiful pups as well as those gorgeous pastas…one day I’ll get to try some of them! 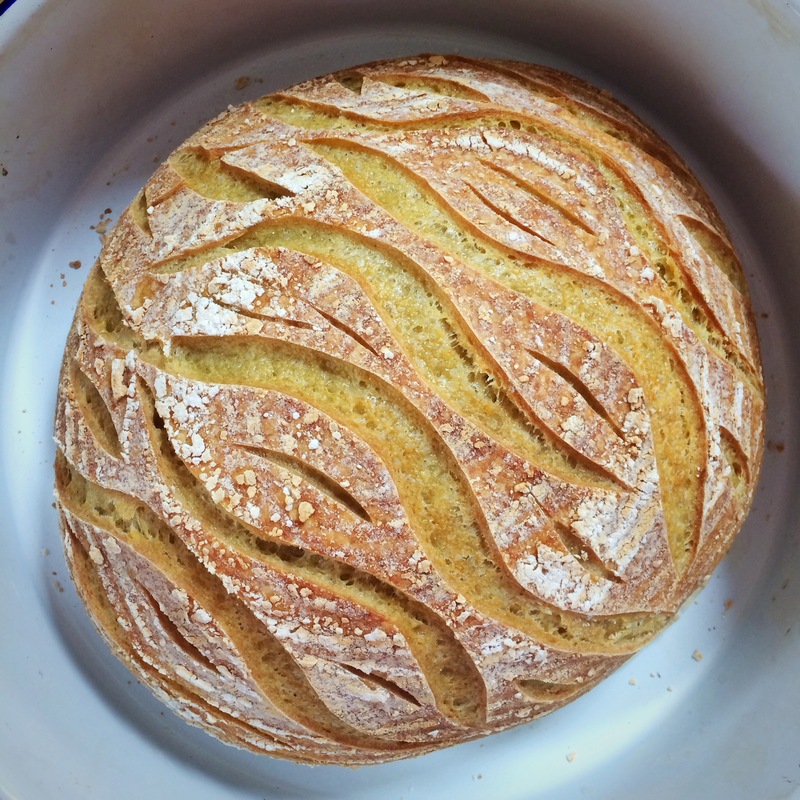 This entry was posted in Dips, Fellow Bloggers, Healthy, Leftovers, Lunch, Mezze, Roasted Vegetables, Salad, Tahini, Vegan, Vegetarian and tagged cooking, fiesta friday, recipes on March 15, 2018 by Elaine @ foodbod. Knowing that I am vegetarian, he has picked my brain a few times, and it has made me think that it could be an interesting post for anyone making the same change to their diet. If you’ve always eaten meat, a typical meal would have no doubt been built around the meat portion: you start with the meat, and then add the extras, vegetables, potatoes, pasta, rice etc. When you don’t eat meat, or fish, or both, you have to think differently, unless you choose meat replacement products like quorn or tofu of course. I don’t eat those things so my meals are created differently. And you can’t just replace a portion of meat with a similar size portion of cheese: imagine a chicken breast sized piece of cheese?! Heart stopping stuff!! Vegetarian proteins are not always lean proteins like some meat, you need to be aware of portion sizes. Nuts and seeds are great and provide so much goodness, but you can’t eat great piles of them any more than you can full fat cheese without it starting to affect your waistline. If you are suddenly introducing your digestion to more vegetables, and legumes, than it’s used to, it may cause bloating and wind. In fact, I would suggest that you expect it, then it won’t be a surprise! All that extra fibre will take a bit of getting used to. A lack of some of the key nutrients might make you feel achey, and it may be worth at some point requesting a blood test to see if you do have any deficiencies, or low levels, of any nutrients to help you understand what you need to boost. People think that vegetarianism, or veganism, is a way to lose weight; the opposite can often be the case. 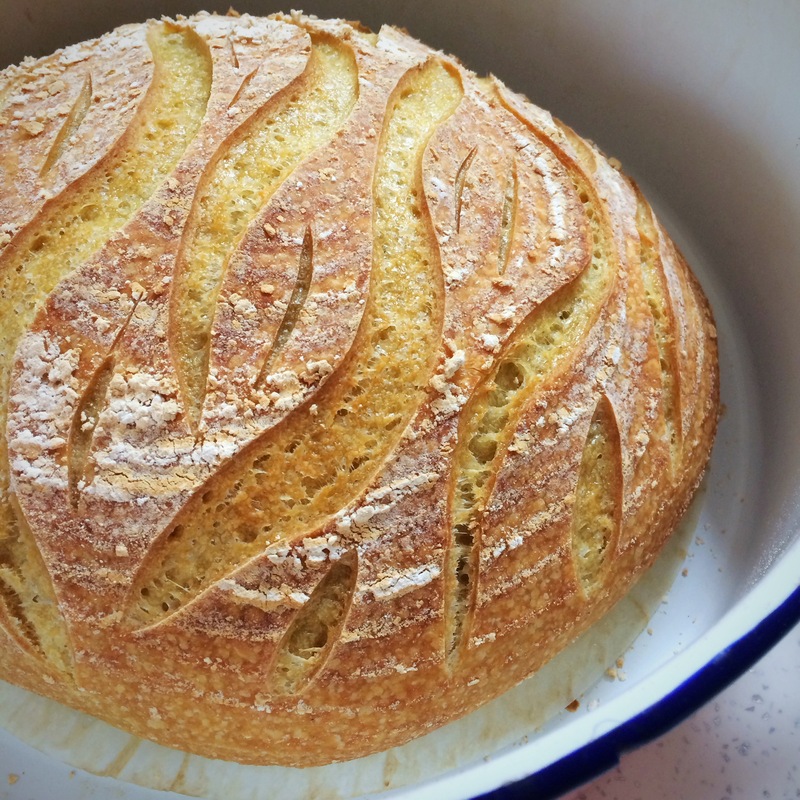 It’s very easy to end up with very carbohydrate heavy meals. Think about how you filled your plate when you ate meat and keep the amounts of carbohydrate to a similar amount and fill up on salad and less heavy vegetables. I’m told that meat protein is very filling, so your meal now needs to include different filling foods without it being all carbs. Becoming vegetarian just takes a bit of planning and understanding until it becomes second nature, which to me is all part of the fun of it, but to others may be new and daunting. Do lots of reading and research and read great blogs (like mine!) and other people’s experiences. Our bodies are all different, but the basics will be the same. I make everything that I eat, but that’s my choice because I have the time, the inclination, and I love it! I love knowing exactly what is in the food that I eat, and I can manage exactly what my body needs. If that is not your inclination, or you don’t have the time, there are a lot of vegetarian choices available in supermarkets and restaurants nowadays. I have no interest in eating ‘meat replacement’ foods, they’re just not my thing, but if you do want to try them, I believe they are often fortified with helpful nutrients for vegetarians. Becoming vegetarian really doesn’t have to be hard work. If you are worried that you’re going to be hungry without meat, or fish, it really isn’t the case. You may feel a different kind of fullness, you may even notice that you don’t feel as ‘heavy’ or sluggish after meals because your body is no longer working hard to process the meat protein. But hungry, no, I never go hungry, ever!!! If you are deciding to remove meat, and maybe fish, from your diet, I would definitely recommend to phase it out, going ‘cold turkey’ could put your body into shock and create discomfort. Maybe start by removing red meats, then poultry and white meats, then fish etc. 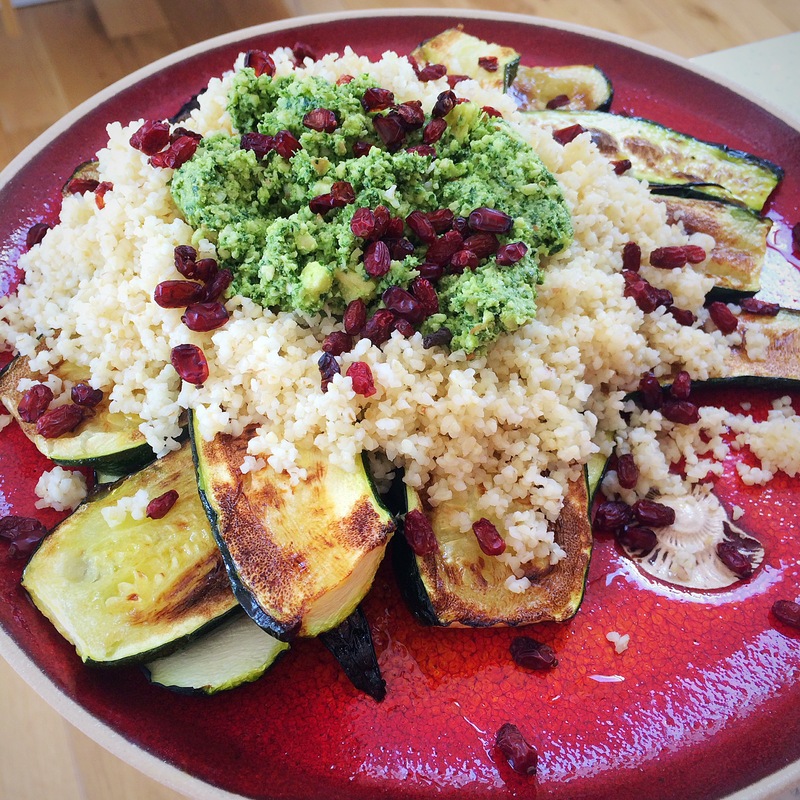 This entry was posted in Aubergine, Dinner, Dips, Healthy, Homous, Lunch, Roasted Vegetables, Vegetarian and tagged cooking, fiesta friday, recipes on February 14, 2018 by Elaine @ foodbod. I had a green day this week; I basically had lots of lovely fresh herbs in my fridge and decided to use some of them in some pastes. 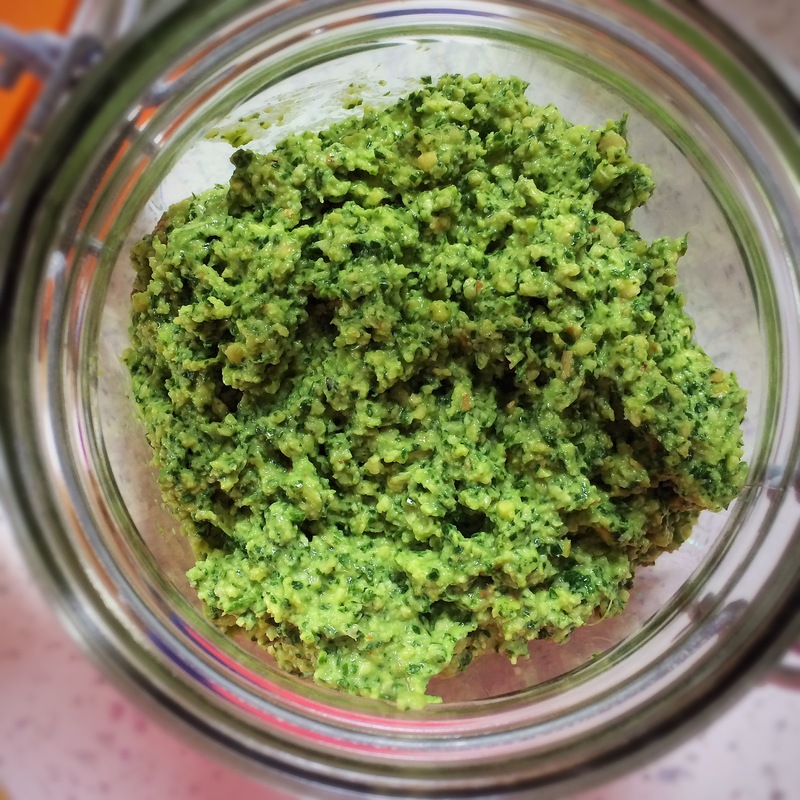 I made a coriander and walnut paste that I’ve made and shared before – I’d forgotten just how tasty it is! And I also threw together a kind of pesto idea at the same time.. 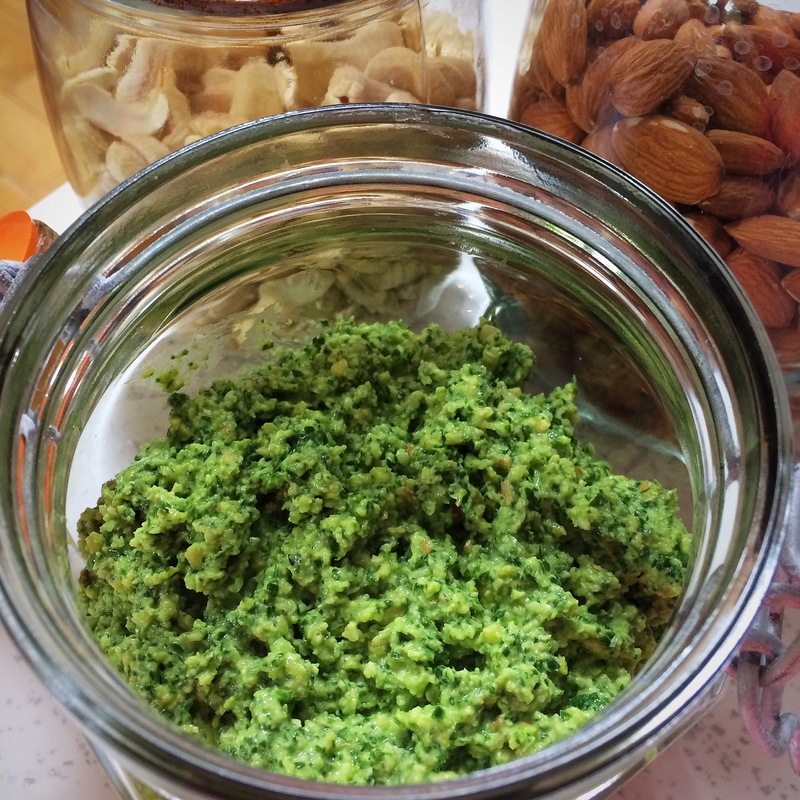 This is made of lots of fresh parsley and not as much coriander, several handfuls of almonds and cashews, garlic, olive oil, a little lemon juice and some parmesan. You could easily use nutritional yeast instead of the parmesan to make it vegan if you wish. 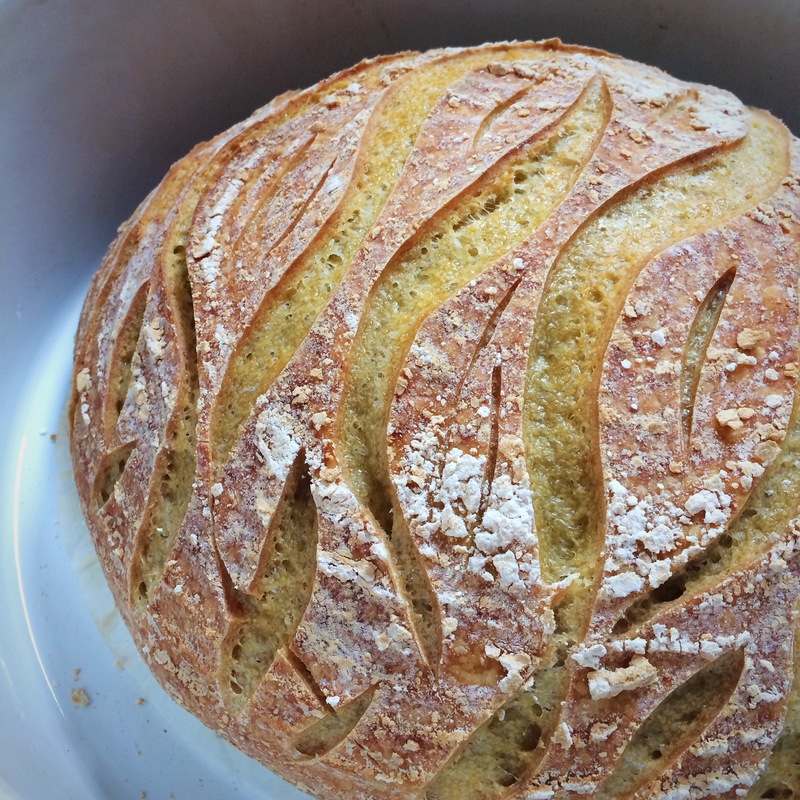 I was careful not to overblend this once I’d added the nuts to retain some crunch. It was so good, and, as ever, even better the next day once it had had time to develop the flavours. All you really need is a spoon to eat something like this, but I did force myself to add it to some meals instead. 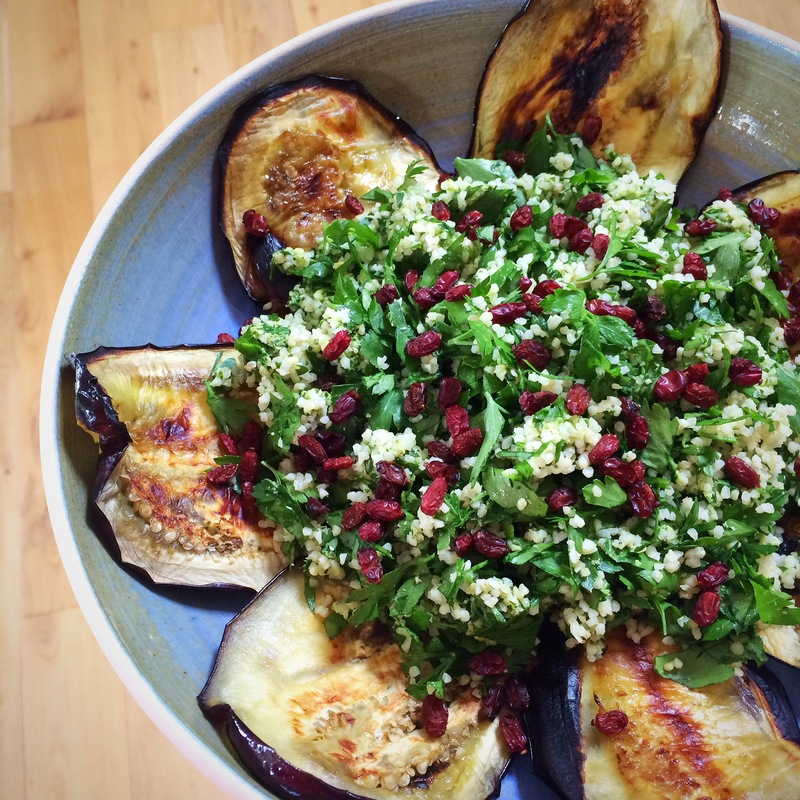 Including adding it to bulghur wheat with lots more fresh herbs, dried barberries and grilled aubergine slices one day.. I did also eat some with some edamame bean spaghetti too, of which I don’t have a photo, and it worked well stirred through the warm ‘pasta’. I do love a concoction, especially a successful one!!! 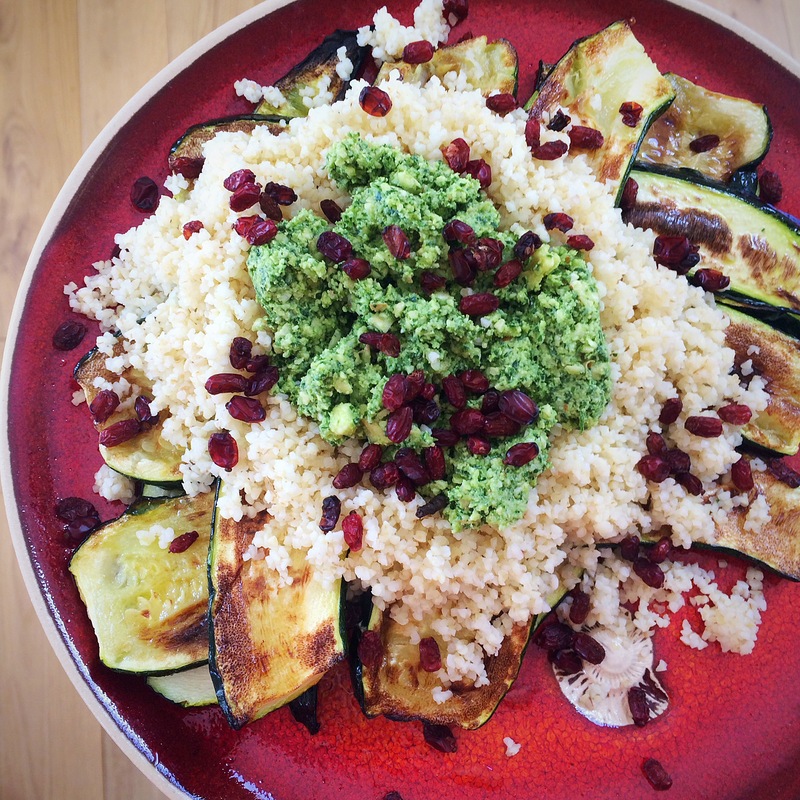 This entry was posted in Dips, Healthy, Nuts, Vegetarian and tagged cooking, herbs, paste, pesto, recipes on June 16, 2017 by Elaine @ foodbod.